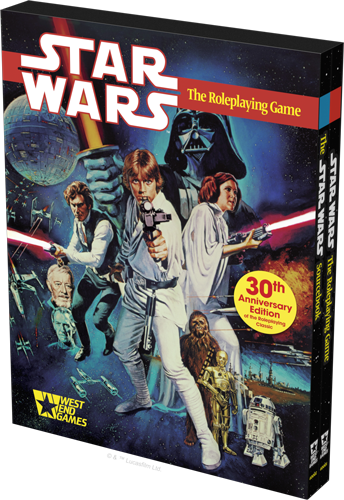 You may have heard a thing or two about Fantasy Flight Games creating aStar Wars™: The Roleplaying Game - 30th Anniversary Edition, a reprint of the first two books of the West End Games D6 roleplaying game released in 1987. 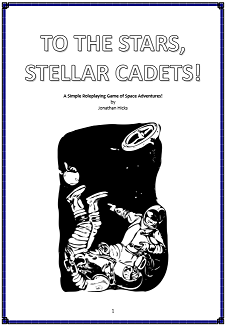 This game exploded onto the roleplaying game scene, and the easy rules and the melodramatic, fast-action games it encouraged got players excited and salivating for more. Star Wars had waned somewhat by the middle of the 1980s. The last film had been ‘Return of the Jedi’, and there had been nothing huge for a while. With the roleplaying scene at it’s height around this time, it was only natural that a Star Wars roleplaying game would emerge. The material the game produced over the years went on to form the foundation of the Star Wars Expanded Universe, and breathed new life into the franchise. Not only were gamers excited about the products, so were the collectors; here were books building the Star Wars galaxy, with details of characters - both main and background - places and things. Small pieces of fiction also filled out the books, always teasing at the drama of a bigger Star Wars galaxy just waiting to be told. Star Wars™: The Roleplaying Game had revitalised the franchise, and not only were people learning new things they were taking part in it, experiencing the galaxy as never before with their own stories, adventures and creations. It’s difficult to explain what is was about the game that hit us so hard as gamers. 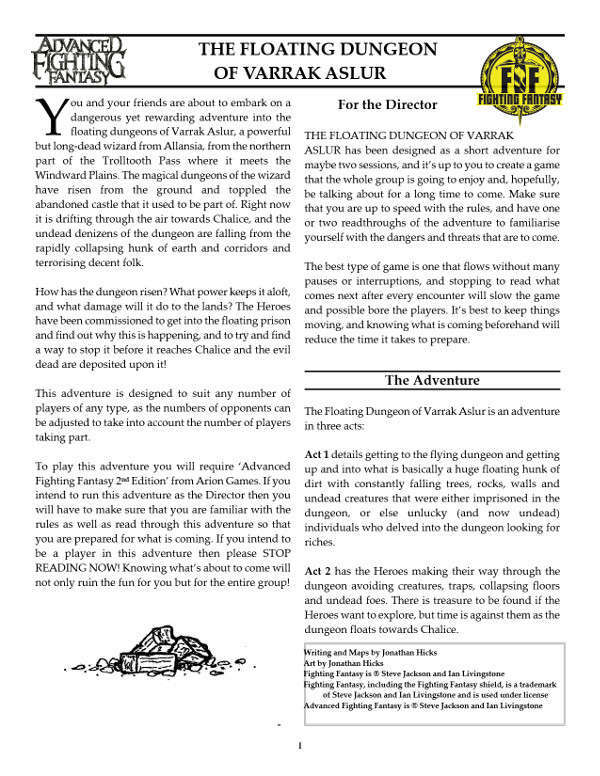 I myself had been gaming since 1984 after falling in love with the red box basic Dungeons & Dragons roleplaying game, and spending much of my time enjoying Fighting Fantasy gamebooks. 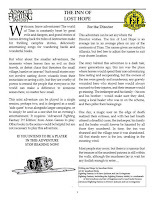 We had tried to do Star Wars-inspired games, using a game called Traveller and the Fighting Fantasy rules, but it never really worked and the games trailed off after very few sessions. Even as huge Star Wars fans we found it hard to get into the spirit of the setting, let alone the game. But here was an entire book dedicated to Star Wars, with an excellent system that encouraged cinematic over-the-top action gaming and a sourcebook that had us amazed at the depth that the Star Wars galaxy had to offer. The writing in the rulebook was conversational, fun, light-hearted and exciting, with a touch of darkness; everything a Star Wars story should be. As a sixteen year old boy, that was quite something to experience. In fact, the Games Master and gaming advice in that book is still something adhere to today. For years we played in our own corner of the galaxy, the Setnin Sector, and we created a huge region of space where we could have huge adventures that didn’t intrude on the galaxy-spanning stories of the movies and novels, but sat alongside them, slightly scaled down, so that we could feel as though our creations could exist in the same galaxy as the damn big heroes on the screen. 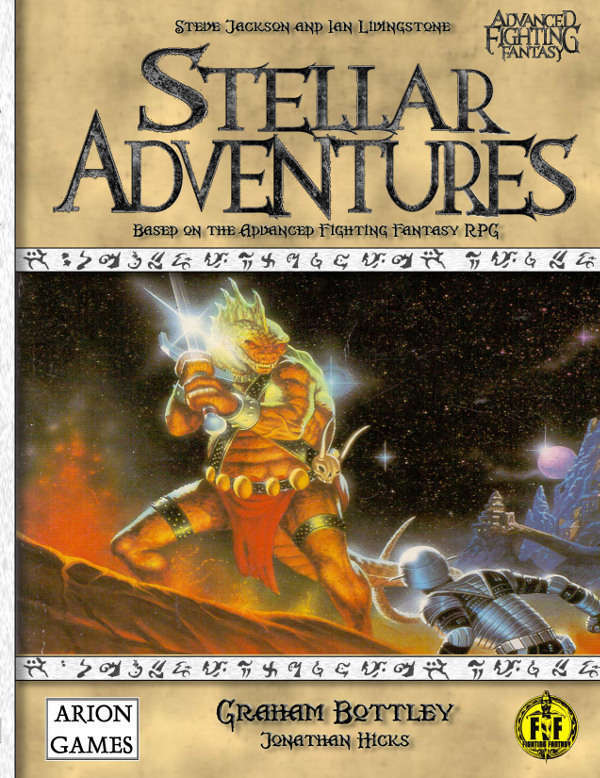 We wanted to be part of it, and the great thing about these books, the very books that Fantasy Flight Games are about to reprint, was that they gave us all the information we needed to fill out the universe and create our own material. It was an amazing time, and probably one of the most creative periods of my gaming history. I truly hope that those of you who haven’t experienced these books before get a chance to have a look. As a chapter of both Star Wars and gaming history these were very important books and they inspired gamers for years. You may find them a curiosity, but I truly hope that some of you see the same magic in them that I did, and allow your excitement and creativity to take you across the stars. Make sure you take an astromech ‘droid along with you, just in case. No job is above this little guy’s head. 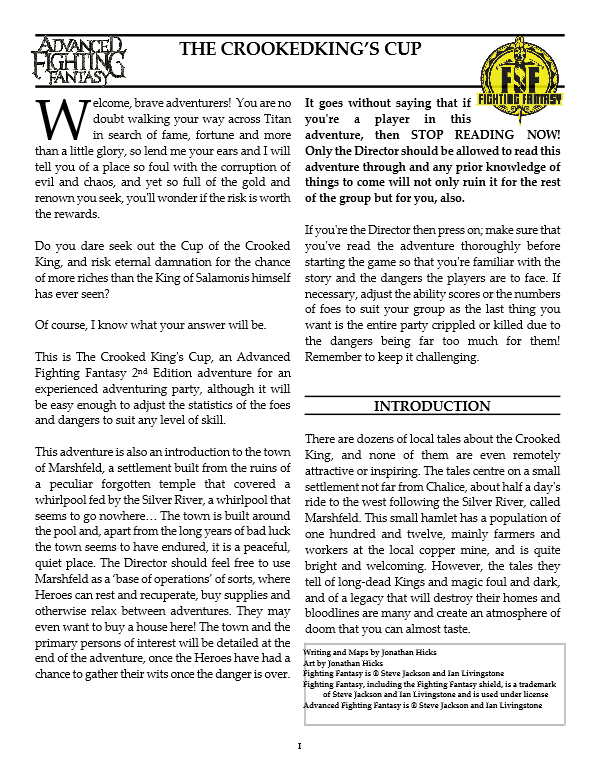 It might sound like a bad thing to say, but let's face it, a lot of roleplaying games are often two-dimensional. You have sword fights, defeat the monsters and bad guys, solve mysteries, and blast about in high-spec ships popping bolts of light at the enemy. There's magic and explosions and lasers and bombs and monsters and... that's pretty much it. 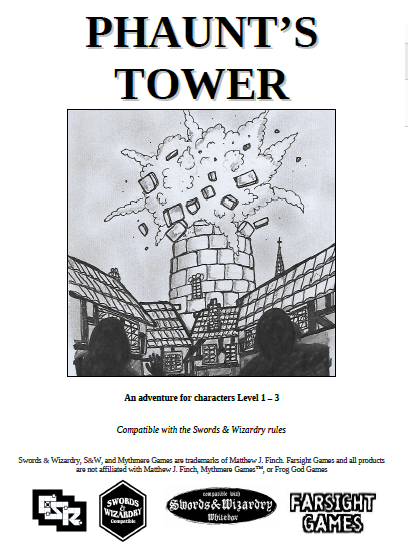 It's very easy to look at roleplaying as a black and white thing, and in many respects it is. When you first see classic good-versus-evil movies, like the original Star Wars, you want to cheer the good guys and throw popcorn at the bad guys. It's easy to see it as a big, dumb, action movie. However, what about that scene when Luke Skywalker went racing back to his uncle's farmstead to find the bodies of his guardians torched, the home burning? Highly dramatic music coupled with heart-wrenching visuals. It pretty much hit home with everyone and made for an emotional scene. Or, how about when Gandalf fell from the bridge in Moria? Who wasn't moved? Or, Luke finding out that Darth Vader was his father? Or, when the Colonial Marines are first attacked in Aliens? Take a long hard look at these kinds of films and you'll see scenes far beyond black and white. I'm a bit guilty myself. For a long time I craved adventure in the Lord of the Rings and Star Wars settings and I simply re-created the highest- octane scenes from the books and movies. I didn't see the drama behind the narrative or the special effects, which was not wholly my fault considering the tension scenes are what you take away from things like that when you're young. And, after a while, my games and creations started to suffer from it. Unoriginal games gambolling over into the next one, each one the same as the last but with different locations and names. 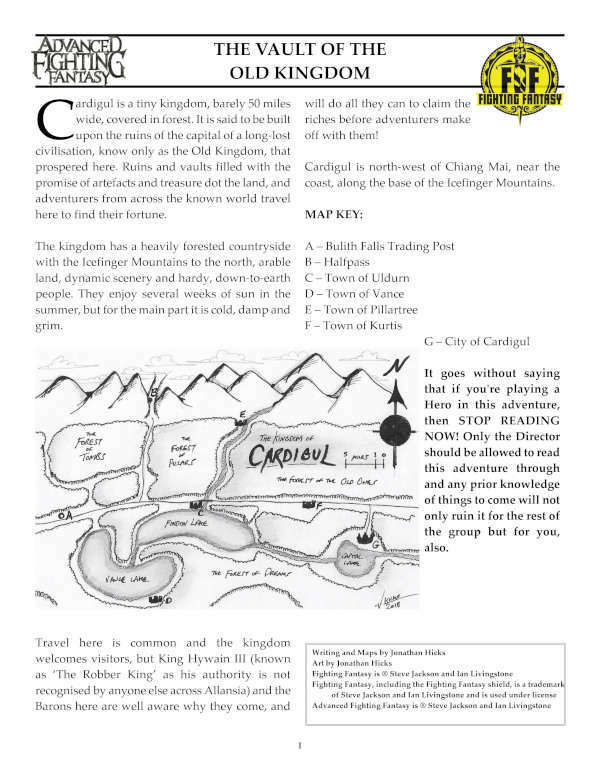 Throw a shocking revelation into the works that forces the players to rethink the direction of the game. Give the players something to sink their roleplaying teeth into instead of the next puzzle or threat. The emotional shock of a sudden revelation or an unexpected incident during a campaign can heighten emotion and make quite an impression on the players. The difficult thing is also the most important thing, unfortunately: how are you going to insert a scene that makes sense to the story and is an emotional shock to the players? Let's use Star Wars Episode V - The Empire Strikes Back as an example. The scene with Luke Skywalker and Darth Vader is a classic and is down as one of the most dramatic moments in cinema history. The revelation of the father and son relationship is well placed and totally unexpected, yet subtly clever. You knew that Obi-Wan Kenobi and Vader knew each other. You knew Vader was Obi-Wan's pupil from the talk they had in Episode IV, and you knew Vader was supposed to be responsible for Luke's father's death. The only thing you didn't count on was Obi-Wan keeping it all a secret, but when the truth does come out, you can understand why. It all slots in nicely and makes a lot of sense, but the crunch comes when Vader reveals to Luke that he's his father, and not in a roundabout kind of way, mind you. He waited until he'd beat the snot out of him, cut his hand off, and had him hanging off a vane over a shaft before he told him. Now that's drama! The first thing you can do is take a long hard look at the character backgrounds the players have created for their alter egos. There are always little snippets of information in there you could use, and more times than not, the players have created things about the past and haven't really taken much notice of it, or they have detailed friends and relatives they knew but don't take much notice of. Take the details of the NPC, flesh them out (without the player's knowledge) and introduce him or her (or it) at a key moment. Alternatively, you could have them be a long- term NPC whose identity isn't revealed until later. Wouldn't it be cool if the players spent game after game trying to figure out who the bad guy is and it turned out it was one of their brothers? Or a friend they bullied at school? Or a relative they thought dead? If you keep notes during a game then so much the better. Even the smallest plot point from a previous game might come back to haunt the players. Perhaps, in a game a long time ago, the players hired some help and they all went on an adventure. Let's say the hired NPC was killed and the players escaped without him. Wouldn't it make for a good story if the NPC wasn't killed? Wouldn't that NPC swear revenge on the PCs for leaving him for dead? In this way, the game crafts its own internal plot that, because the players were involved with it, makes it resonate more. 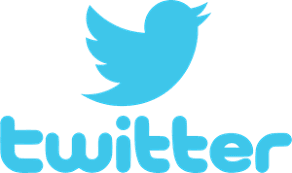 Use the game itself as the driving force behind the drama. As the game builds and builds, and more and more NPCs are thrown into the mix, perhaps the plot can seem disjointed for a while until a huge dramatic event brings the seemingly unconnected events together. Alternatively, the actions of the players are having an effect they have not noticed or did not count upon. The people they thought they were saving are turning against them, or maybe it happens that they're fighting for the wrong side. Pick a location where the dramatic revelation can take place. This will have to be a place that will be detailed to the players so that the importance of the dramatic event has a visual representation. This could be anything: the top of the highest tower in a thunderstorm; a deep, lava-filled cavern; the top of a collapsing starship hull; the thin bridge over a deep rocky gorge (Indiana Jones, anyone?). In some cases, you can get together with a player to sort out a private agenda for the player's character that he carries out. When the other PCs find out, it's even more of a shock! Be very careful with this option: the other players who aren't in on the secret might feel left out or even a little used and offended if they think the GM was favouring or singling out a player that was working against them or had a secret agenda. For example, let's say that a character called Jevin Dayy has had her background fleshed out in a sci-fi game by the player. Just to make the character more interesting, the player has entered details about her father, a business man, who she ran away from because of his anti-adventure and miserly feelings. This explains her well-spoken manner, but also reveals the source of her dislike of safety-conscious people and money-hoarders. She loves her father but can't condone what he is doing: a nice little detail she added just for effect. Jevin has been used for quite a few games and is very good at what she does (a technician with the group), but the GM decides that one day on-planet she works on a vessel she recognises - one of her father's business vessels. What will she do? Carry on as if nothing has happened? Run for it? She's quite capable of doing these things, but then she finds out that the man who is now running the company is her fathers' brother who has basically murdered his predecessor to take over the business. This is revealed during a moment of high drama to increase the emotional charge of the event. Let's say that her uncle knows she is trying to find out about how her father died and has sent men after her. She assumes it's her father's murderers trying to get her but, whilst she's crawling to safety over an old rickety steam pipe over a shipyard, her uncle catches up to her. "Get away from here, uncle! It's dangerous!" The pipe creaks and she hangs on for her life. "Jevin, come back, it's dangerous out there!" He holds out a helping hand. "It's the men who killed my father! We have to get away before they get you, too!" She despairs for her uncle's safety and grabs hold of his offered hand to pull herself to safety. "No, Jevin, I came out here myself. These men are my employees." He tightens his grip. "I'm not lying, Jevin. I killed him." See how that works? It doesn't need to be a character that was created for the PC background; it can be a long-running NPC that the players know from previous scenarios or campaigns. You have to be sure that the emotionally charged scene you're about to drop in isn't going to make anyone at the gaming table uncomfortable. After all, some of them are there to just game and not get emotionally involved, and having one of the NPCs suddenly leaping forward shouting, 'I love you!" or something or other can be a bit of a shock, especially when most of the game has centred on action and adventure. Remember, also, that the scene you're going to introduce has to be a shock that's not out of context and that doesn't suddenly appear out of nowhere. This can be embarrassing for the GM as well as the player. Here are a few lines you could use as a basis to charge the scene, just for a bit of fun. Try to see if you can insert these NPC phrases into a game and get the emotional response needed.